ATLANTA, July 14, 2016—Lisa Woods, PE, joined HNTB Corporation as senior project manager. She is based in the firm’s Atlanta office. Woods has more than 15 years of industry experience encompassing bridge design, project management, and quality assurance and controls. She served as engineer of record for more than 30 bridges for the Georgia Department of Transportation across the state, and has designed bridges for Hartsfield-Jackson Atlanta International Airport, Georgia Power and the United States Army Corps of Engineers. Woods also has experience developing quality control processes and defining procedures for preparing and checking plans, calculations and other documents submitted for verification in accordance with GDOT policies and procedures. 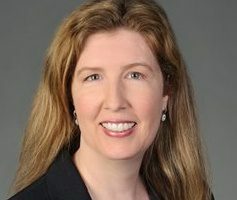 She has held several state, regional and national positions with the American Society of Civil Engineers including, president of the Georgia section, Region 5 governor, and chair of the National Engineers Week committee. She is affiliated with the American Council of Engineering Companies and the American Society for Highway Engineers. Woods earned a Master of Science and bachelor’s in civil engineering from the Georgia Institute of Technology. HNTB is currently involved in several significant projects and programs in Georgia that include serving as program manager to GDOT Office of Innovative Delivery for its P3 and Design-Build program. HNTB Corporation is an employee-owned infrastructure firm serving public and private owners and contractors. With more than a century of service in the United States and nearly, HNTB understands the life cycle of infrastructure and addresses clients’ most complex technical, financial and operational challenges. Professionals nationwide deliver a full range of infrastructure-related services, including award-winning planning, design, program management and construction management. For more information, visit www.hntb.com.